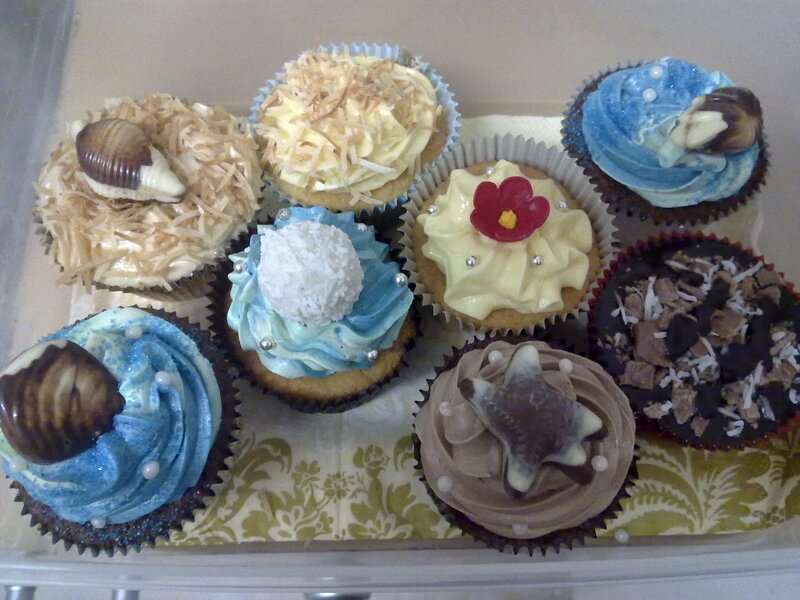 It was any combination of a Vanilla or Chocolate cupcake base, Vanilla (Blue) icing, Caramel icing, Toasted Coconut, Chocolate ganache and Chocolate seashell. 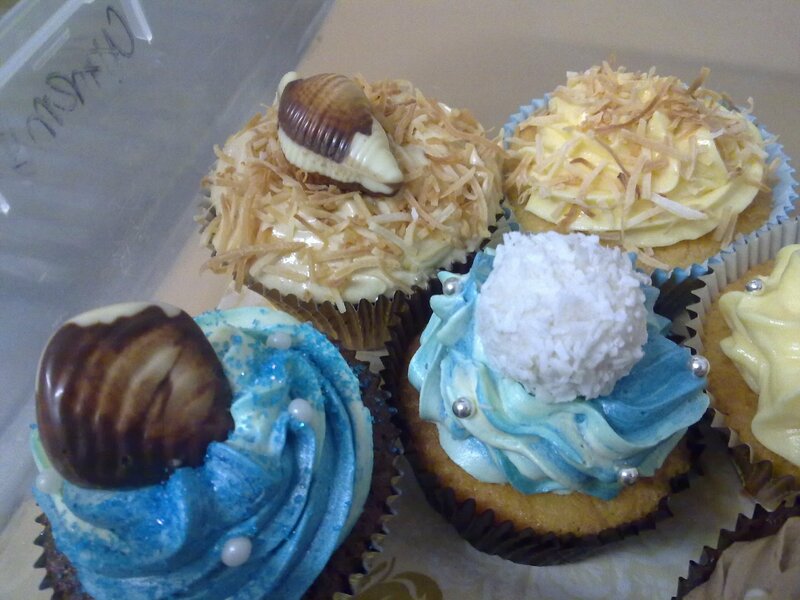 So, after much thought and sampling, J&C chose the two left most cupcakes; Chocolate base with Vanilla (Blue) icing and chocolate seashell and the Vanilla base with Caramel and Toasted Coconut and chocolate seashell for the ceremony. 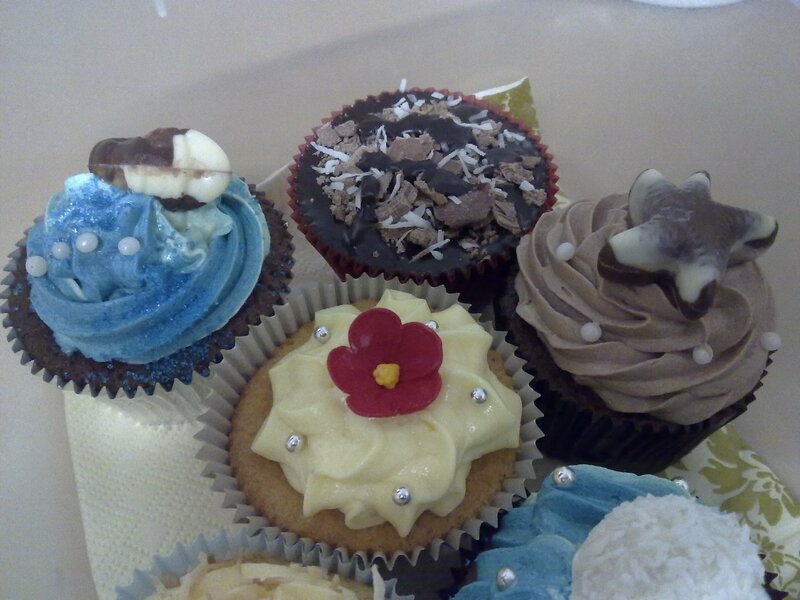 I am really looking forward to it in October, J&C were really nice and I wish them all the best.